Collect all the Pakka Pets and build the coolest village! It’s oh so cute & insanely fun. Use your creativity to design your own unique world and see how many pets you can discover. Build your village and raise pets by crafting magic food, playing games, decorating your home, and going on adventures in a cute, bizarre world! 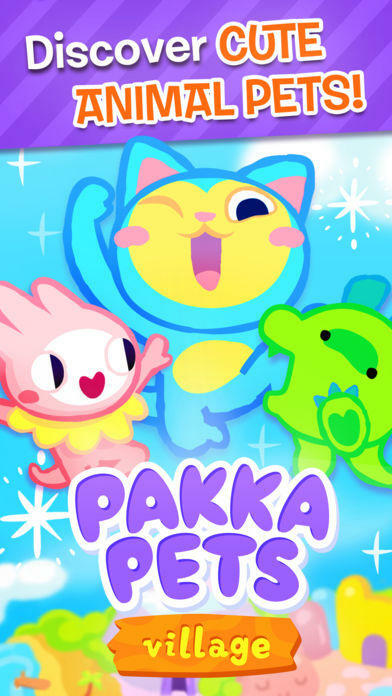 Pick your egg to hatch and raise your very own adorbs Pakka Pet! 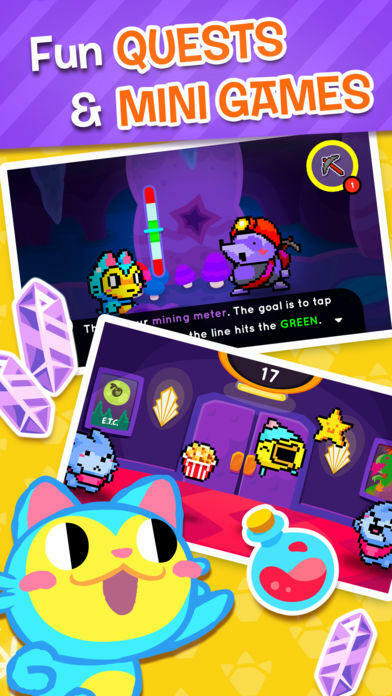 Play games with your pet, train it, and help it prepare to go off and explore the Pakka World. 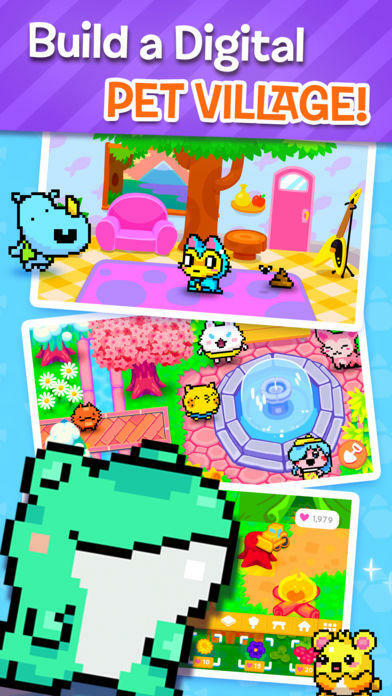 Your Pakka Pet will eat, poop, sleep and live its Pakka life even when you’re away. Your pet will evolve based on the care you give it. Show lots of love to get a great new evolution. There are 70 Pakka Pets in all, with branching evolution paths! Create a unique paradise for your beloved pets! Find building materials and use portals to check out new locations. Make your own dream house! Add anything - furniture, windows, wallpaper, and maybe even a tire swing, a baseball chair or a spaceship window! Make your house a fresh and wonderful place to raise your pets. 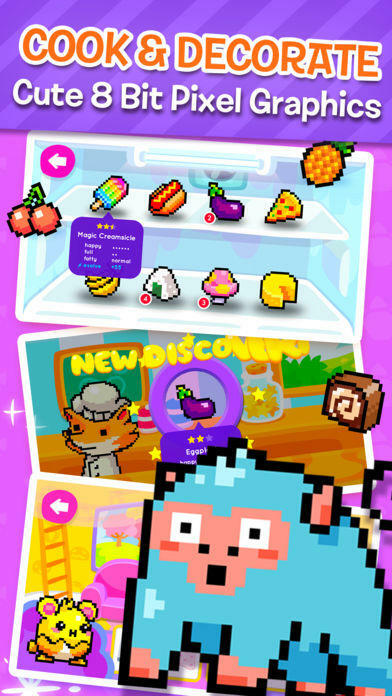 Cook food with Chef Mitts and make paw-erful magic foods to evolve your pet into new pets! Visit the store to get more food, furniture and valuable treats. Send your pets on 120+ hand-written story quests to help them grow and have fun! Check on your pets with the Apple Watch, or spread the joy in iMessage with 20 stickers and 16 animated stickers. 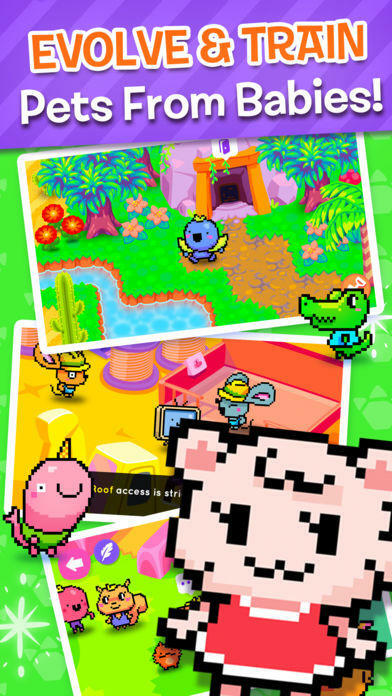 Download Pakka Pets Village and start catching all of your animals, today! + Many bug fixes and stability! Thanks for playing, a great review means a lot to us and can help us be able to add more to the game!